Founded on January 1st, 1933 Irmãos Britto Representações e Comércio Ltda. 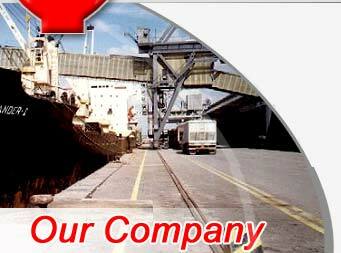 has been operating during all these years as shipping agents and stevedores in the ports of Maceio and Aracaju. Quality and Efficiency Striving always to maintain an international standard of quality and efficiency, we try to improve our services on a daily basis, and to achieve this we are in permanent contact with our clients in Brazil and in foreign Countries, whom, with their suggestions, have helped us in our search for an always better service. Physical Structure Installed in it's own building of 750 m² of area in Maceio's port district of Jaragüá, our company owns also 2 warehouses for the housing of spare parts and other equipment belonging to our clients. Equiped with the latest comunication facilities available in our business, the total informatization of our company allows us to contact and be contacted on a 24 hour basis.